Multi-purpose detergent for daily cleaning of all furniture. Recommended for glasses, mirrors, washable surfaces etc. 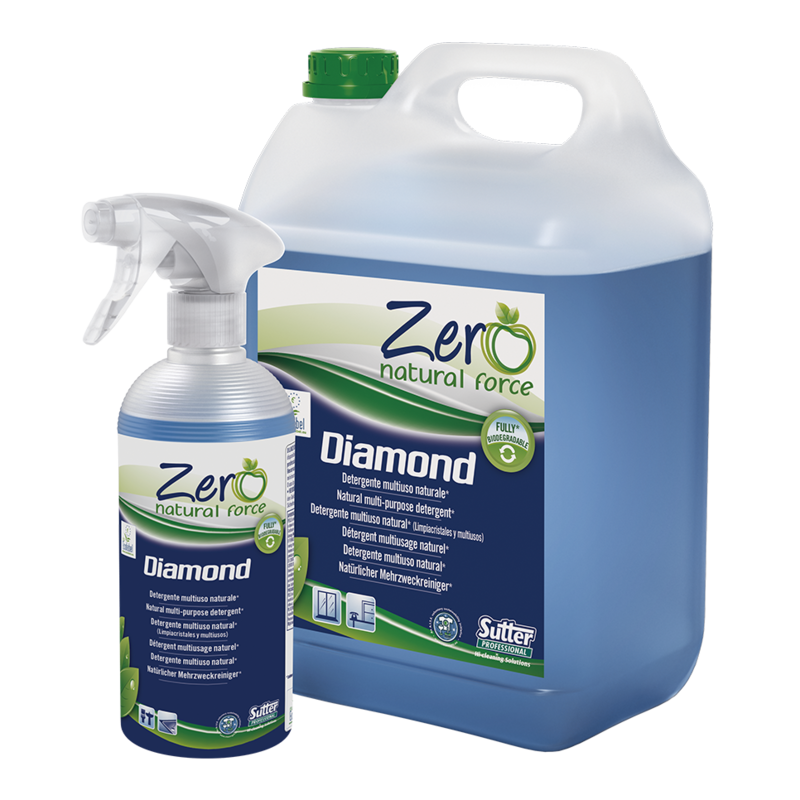 The daily usage of Diamond, thanks to its formula with anti-redeposition agents, allows for an excellent protection of surfaces and easy maintenance. Also suitable for the cleaning of internal surfaces within boats, ships and other transports. It contains vegetal origin raw materials (e.g. surfactants, solvents) coming from the processing of sugar beet and corn. Apple vinegar scent , allergen-free (Reg. 648/2004). Phosphate and nickel-free (less than 0.01 ppm). Dermatologically tested product (human patch test - not tested on animals). The absence of CLP warning signs means that the product is safe both for the operator and the environment, provided it is used according to the usage instructions and to the other information on the label.